is a staple “ingredient” I believe for anyone’s freezer, due to it’s wide versatility & appeal. It can be made into a soup, it can be used as a sauce, it can be modified into a meaty Bolognese sauce. In fact, there should be an ode to it! Place the oil & butter in a large pot, on medium heat. Stir in the remaining ingredients and simmer for 2 hours. Puree in a food processor or use blitz stick. To make this into a soup, take 500ml of the above, add 250-500ml vegetable or chicken stock to it (quantity will differ depending on how thick you want your soup to be) and add 125ml cream (can add more if you so wish), put on a stove in a saucepan, stir and get to a gentle simmer for a few minutes, it should then be ready to be eaten. Add olives to it, for more interesting flavors & textures. Great sauce over chicken or fish. Great sauce for over roughly chopped, cooked broccoli or cauliflower, if you don’t eat gluten/high-refined carbs. Other ideas: This sauce serves as a great sauce over pasta esp. for vegetarians. Or you can add mince to it, to make a quick bolognaise sauce. 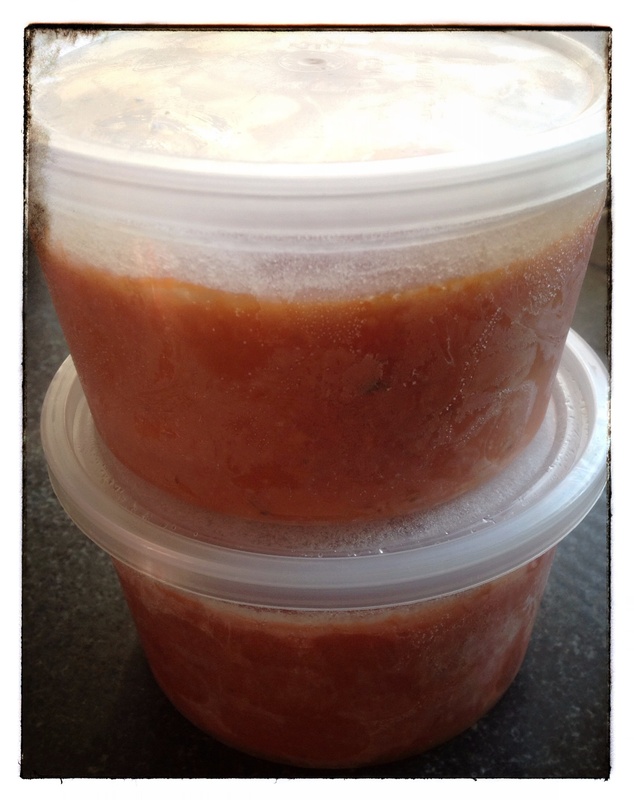 This entry was posted in LCHF recipes and tagged basil, bay leaves, Bolognese sauce, carrots, celery, chopped onions, Delicious Italian Tomato Sauce, garlic, Italian tomato paste, italian tomato sauce, onions, oregano, parsely, thyme, tomato paste, tomato sauce, tomatoes by angelb38. Bookmark the permalink.